Seven Dwarfs Mine Train is a steel roller coaster at Magic Kingdom in Walt Disney World. It’s located within the New Fantasyland section of the park, and was introduced in May of 2014 along with the rest of the Fantasyland expansion. 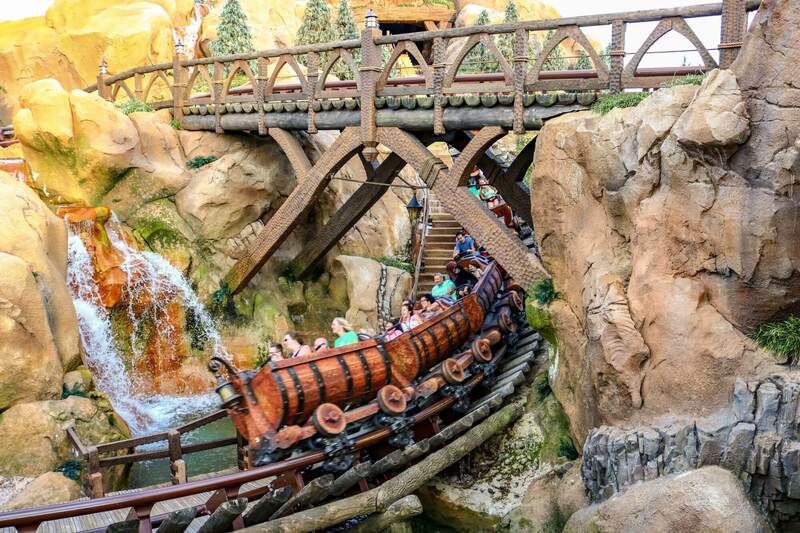 The ride is themed to Snow White and the Seven Dwarfs and dips in and out of memorable scenes from the film. The audio-animatronics feature the Seven Dwarfs and Snow White herself. Faces of the audio-animatronics are projected and sync up with the songs and voices you hear throughout the attraction. The ride also features two different cameras for capturing photo and video of riders. The video and photo combo is loaded on to guest’s MagicBand’s automatically while riding. There’s no PhotoPass touch points or area where guests can purchase photos after the ride.